It’s meant to be soooo good for you! We are really living through an exciting time in the world, technology has opened us to a whole range of possibilities. You think now about ordering your lamb online from the farmer to be home delivered and it’s really a pretty awesome concept. That sounds exciting to me as we still have a young family but are very quickly approaching 40!! One thing though is if we are going to live a lot longer, I want to make sure I am in the best possible condition so I can enjoy my life as much as possible. So where is she going with all of this you may ask, and what does it have to with lamb!? Bone Broth, it’s a natural super food that you can easily prepare at home and conveniently freeze to use in your cooking, drink with a meal and have some delicious preservative free flavor. It improves gut health, digestion and aids joint recovery. Its full of calcium, magnesium and phosphorus. Another side benefit to bone broth is reduced wastage, you can use up your bones and vegies that might normally just get thrown out. Ok this all sounds good you say, but how do I make this bone broth? Allow to cool, then strain the broth and retain only the liquid. There will be fat to skim off and some left over bones if they haven’t dissolved. Serve warm or reheat on the stove and aim to drink 1 small cup a day. Freeze the rest in single serves and to drink with a meal or use in soups and recipes requiring stock. After 24 hours add vegetables like, celery, carrot, garlic, zucchini and onion to add flavor. You can save the top layer and use as cooking fat as well, a great way to reduce wastage! So there you have it, just set up the slow cooker throw it all in and you have some nutritious bone broth that’s going to help you live a longer, healthier life! We’d love to hear from you if you are cooking bone broth or want to and have any suggestions or ideas on what else you can do or alternative recipes. Stay in touch and share with us what you’re up to. One of the best things I’ve tasted! What’s been great so far about Benview Farms and growing nature of this business is the huge range of clientele and customers we have had the pleasure of meeting and working with. It’s always a little bit scary when you start something new. Not exactly sure what you’re doing! Or even if people will like it! 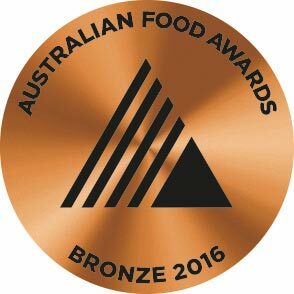 I knew we had great produce with our lamb, we’d worked hard on that. The amazing customers at the farmers’ markets and our loyal online supporters were giving us great feedback. But I still just wanted to make sure…. I thought why not give some of our lamb to a professional chef and see what they think! So that’s what I did and thank goodness he loved it as well. One of my favourite local café’s sampled our lamb on their specials menu and sold out in 1 night! I must say, with a fair bit of pride I ordered our Benview Farms Lamb off the menu. A very exciting day for sure! Well, that was even better than I could have imagined. The dish was Braised Benview Farms Lamb Ragu, and can I just say it was sublime. If I wasn’t in public I would have licked the plate! So I had to know….what was the recipe and how can I re-create this master piece at home and share it with our amazing customers. So you can thank me later, or just ask me over for dinner, but here it is the yummiest Braised Benview Farms Lamb Ragu I have tasted ever. And the best bit, you can actually use any of the following cuts to make this awesome dish! Neck chops, shanks, shoulder or chump chops. How cool is that? Yep, I thought so too! All the credit has to go to the amazing Chef Leigh Murphy at the legendary “L’espresso” Ballarat. I couldn’t believe what I was tasting! What’s been great so far about Benview Farms and the growing nature of this business is the huge range of clientele and customers we have had the pleasure of meeting and working with. So that’s what I did and thank goodness, they loved it as well. One of my favourite local café’s sampled our lamb on their specials menu and sold out in 1 night! 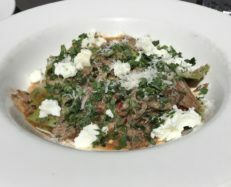 So you can thank me later, or just ask me over for dinner, but here it is the yummiest Benview Farms Lamb Ragu I have tasted ever. Head to our recipes page to check this delicious recipe Braised Benview Farms Ragu.